The beloved island of Jamaica is 4,244 square miles and this monokini is infused with the heart and soul of this beautiful island. 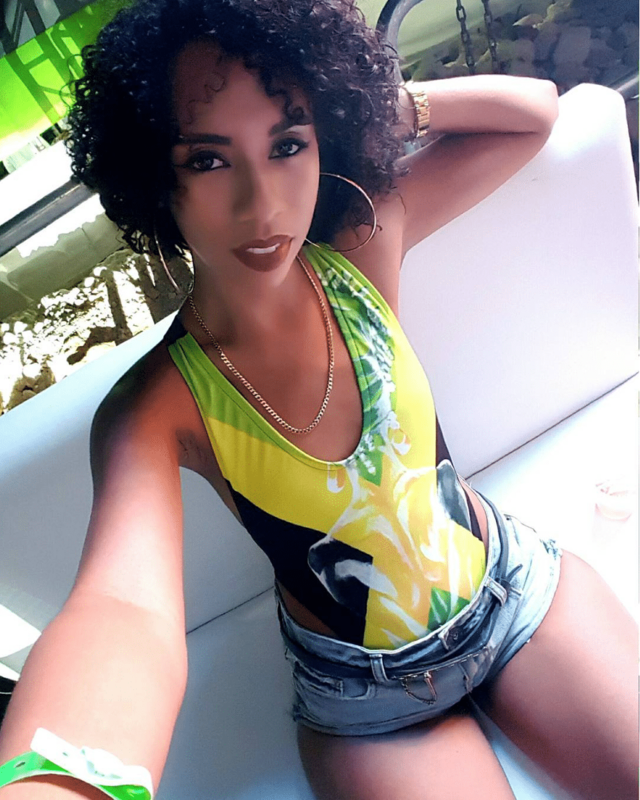 This design begs to be expressed by the contours of your body as we embedded the Jamaican flag on the front with a solid black contoured back with an expanding high quality latex type material. One of our greatest treasures is emblazoned on the front. 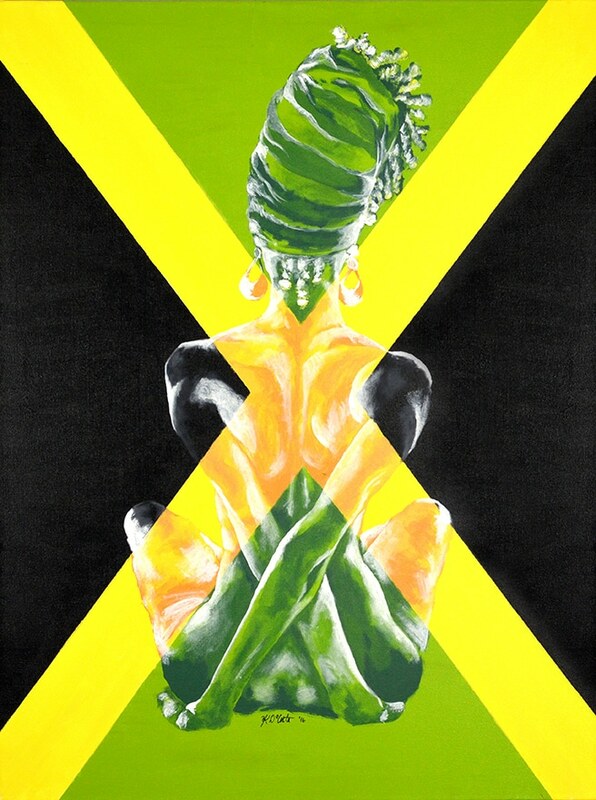 She represents the strength that is the Jamaican woman and anyone woman that wears this design. We took the monokini and kicked it up a notch. We added searing lines to accentuate the hip area and plunged the neckline to a provocative and tasteful tease. This outfit qualifies as beach wear and street wear and has all of the components to get your noticed in either area. We highly recommend this outfit for a day out on the town or a beach to concert crawl. The material contours to the any shape and of course displays the one thing we absolutely love, the spirit of Jamaica. 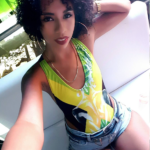 This is an exclusive one of a kind Yanique DaCosta (YaniPaints) x Miakalani Swim Monokini designed and made in Kingston, Jamaica that you will not need to find anywhere else. 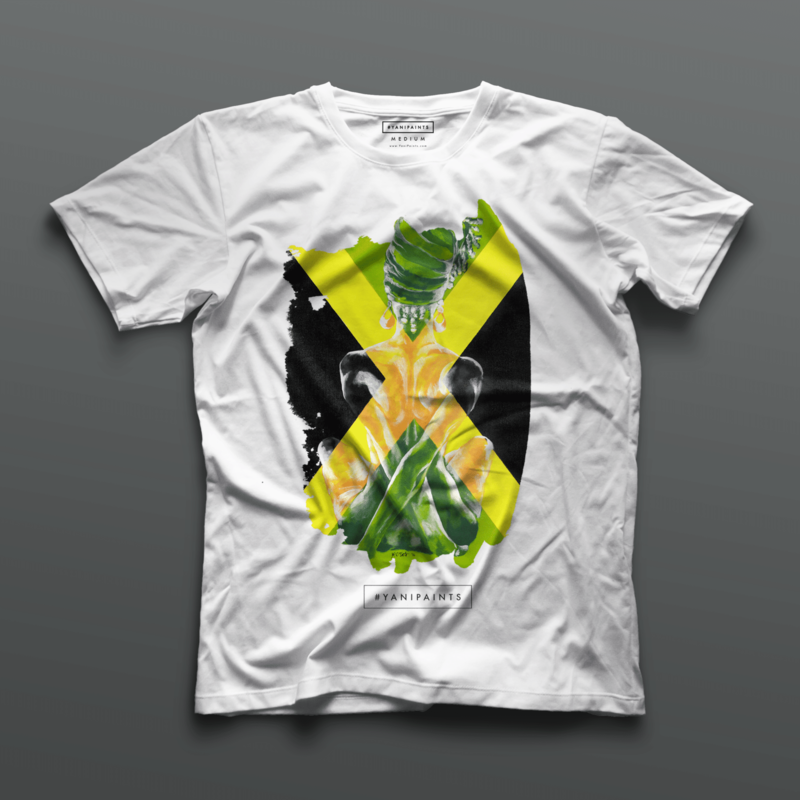 This design was designed by Jamaican women for Jamaican women and for those women with the spirit of Jamaica. We welcome all of our sisters into the great circle that is Jamaica. The material is a high quality spandex type material with double stitching on the inseams for a completely relaxed and comfortable fit. It’s makes the wearer feel like they are a part of something uniquely distinctive about the Jamaican heritage. With every design that is purchased, a part of the homeland goes with it. This material is super resilient and will be with you for a long time to come. We made sure we soothed the body and soul with this design and we know that you will be completely satisfied with this monokini. So you have read what inspired this design and we hope it inspires you to fire up the beach or your next outing with soul of Jamaica. This unique Yanique DaCosta design will make you the envy of your next outing. We have a size that will accommodate your curves. Click the link to buy this monokini now.